Air conditioners for trucks – two systems to suit all cases! 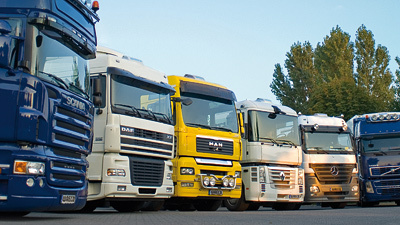 The laws on resting periods for truck drivers are strict, and rightly so. But how can you rest and relax in a driver’s cab heated up by the sun or high outside temperatures? This is where WAECO stationary air conditioners offer a genuine alternative. The CoolAir CA-800 roof air conditioner and the CoolAir SP-900 split system have been specifically designed for stationary operation in trucks . The SP-900 split air conditioner offers all the typical CoolAir benefits: high-performance compressor technology, comfortable operation, easy installation with vehicle-specific accessories. Its two components are fitted to the rear wall of the cabin – the evaporator inside, the condenser outside (vehicle-specific fastening frames as optional extras). 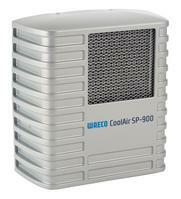 Unlike common industry practice, the unit is factory-precharged with refrigerant. System: Reciprocating compressor for mobile use, soft-start electronics, adjustable low-voltage protection for vehicle battery, three blower levels and automatic mode, timer mode. Quiet running cross-flow fan with two rotors. Hermetically sealed, factory-precharged refrigerant circuit.